EMPLOYERS: If you would like to meet, mentor and recruit our students at this year's Career Expo, please see the Career Expo Information for Employers page. STUDENTS: Please see the Career Expo Information for Students page. The Career Expo is the largest journalism job fair in the US. Please check the list of employers who registered for Career Expo 2019. 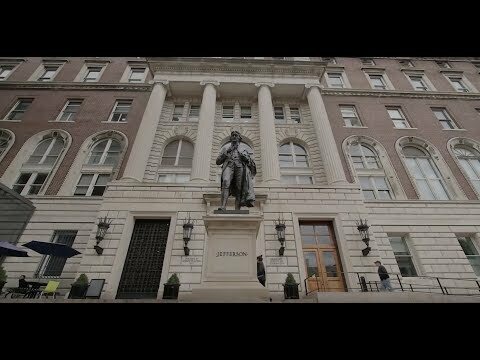 Columbia Journalism School's Career Expo showcases the tremendous range of news organizations operating today, from legacy media to digital startups; from topic-focused investigative websites to Spanish-language news organizations looking for bilingual journalists for their newsrooms. The companies that attend the Expo are seeking to fill full‐time positions, internships, stringer positions and freelance assignments. Employers seek candidates to cover a range of subject areas, including health and science, business and economics, investigative journalism, sports, weather, media, technology, politics and government, general assignment, race and justice, metro and community news, arts, culture and entertainment, food, travel and fashion, Jewish issues, international news and more. The Career Expo happens every spring and is limited to the graduating students of Columbia Journalism School. In 2019, 158 news operations took part, making it the biggest Expo in the school's history. The Expo is an all-day event, with 20-minute pre-scheduled interviews running from 9 a.m. - 2:15 p.m., followed by unscheduled walk-up interviews until 5 p.m. In the weeks and months afterwards, dozens of students receive follow-up interviews, news tests and offers for a variety of positions.